Help protect each other and our water supply by properly disposing of your unused or expired prescription drugs, over-the-counter products, prescription liquids, pet medications and syringes. 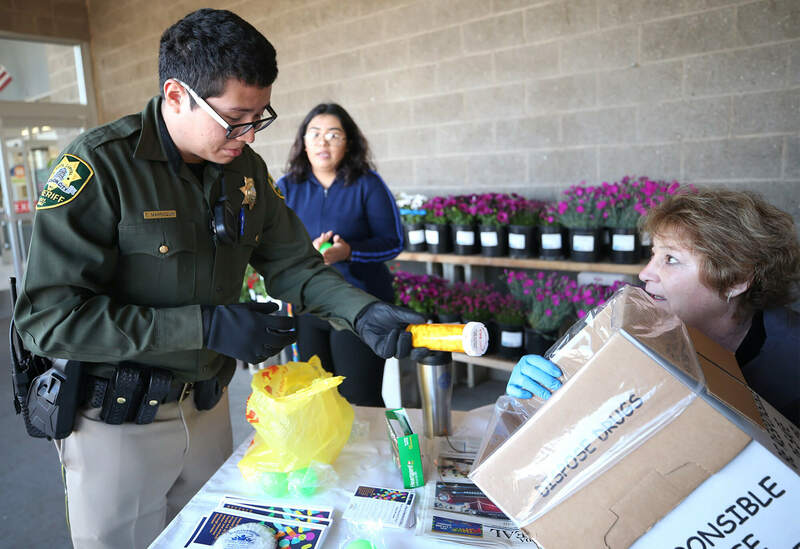 As part of the federal Drug Roundup initiative, Partnership Carson City will set up drug roundup stations 9 a.m.-1 p.m. Saturday, April 27, in front of both Save Mart Supermarkets, 3620 N. Carson and 4348 S. Carson streets; Smith’s Food & Drug Store, 559 E. William St.; and FoodMaxx, 3325 Highway 50 East. Bring syringes in a sealed, hard plastic or tin container. Pills should be brought in a bottle or plastic bag. Drugs can always be dropped off for disposal as well at the Carson City Sheriff’s Office, 911 E. Musser St.
At-home disposal kits will also be available at the roundup stations and are usually still available afterward at Partnership Carson City, 1925 N. Carson St. The kits make it so prescription drugs can be placed safely in the trash. For more information, call Partnership Carson City at (775) 841-4730 or explore our website.